Calvin Avery received an offer from the Huskers on April 4, 2016. Avery took his first visit to Nebraska a couple months later during the weekend of June 17. He came with teammates and fellow Husker targets Damion Daniels — who signed with Nebraska in the 2017 class — and Brian Williams. Avery called the visit "One of the greatest experiences I've had at a college campus." Avery was back in Lincoln again for the Husker spring game on April 15, 2017. He was again joined by Daniels — now a Husker signee — and teammates Williams and Marquez Beason, who committed to NU while on the visit but would later decommit. 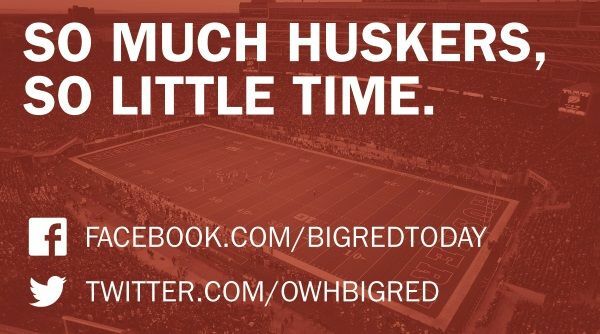 Afterward, Avery posted a tweet that said "I can say I enjoyed myself alot #GBR." In an interview with The World-Herald, Avery said "I learned that the Nebraska fans are actually dedicated to the team." Avery also spoke highly of the visit in an interview with Husker Online. On May 14, Avery included Nebraska in his top 12 along with Arkansas, Arizona State, Colorado, Illinois, Ohio State, Oklahoma, TCU, Texas, Texas A&M, USC and Washington. But on July 12, Avery released a top five that didn't include the Huskers. Making the cut were Colorado, Illinois, Oklahoma, TCU and USC. Avery committed to Illinois on Aug. 4. According to Maxpreps, Avery had 68 tackles, including 18 for loss and 12 sacks, as a junior in 2016. World-Herald staff writer Sam McKewon included Avery on his early list of 25 prospects to watch for the Huskers' 2018 recruiting class.